This weekend I went on a road trip with my parents through Pennsylvania, Maryland and West Virginia. 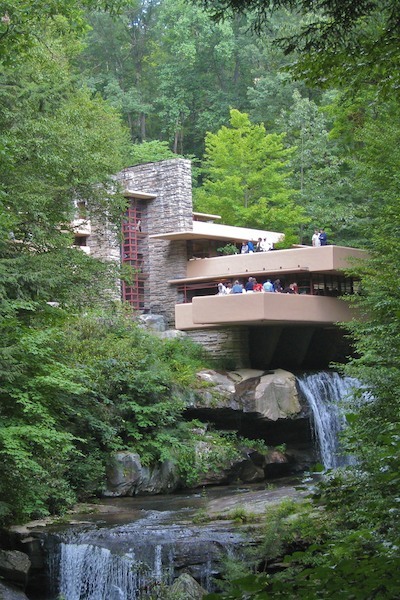 One of today's stops was the famous "Falling Water" house by Frank Lloyd Wright. Photography inside the house was forbidden, but outside it was permitted. Right after taking this photo, the battery in my camera died.